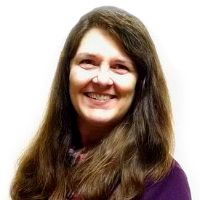 Julie is our Lead Researcher & Statistician and is based in Minneapolis, MN. Julie is an accomplished and forward-thinking market research professional with over 25 years of experience in the market research industry. She has expertise in all facets of the research process from questionnaire design and respondent interviewing (telephone/online/in-person, domestic/international) to data analysis and report presentation (oral/written). She is highly skilled in client relations, research design, project management, multivariate analysis, delivery of findings, team building and leadership. Julie is experienced in a wide variety of research designs and analytical techniques involving multivariate statistical analysis such as regression analysis, factor analysis, cluster analysis, and importance analysis. She excels in producing comprehensible automated report designs, insightful written reports, and predictive/analytical models using the Microsoft Office Suite and VBA. Julie’s experience includes customer satisfaction, product quality and customer loyalty/commitment research in a variety of industries, including IT/technology, telecommunications, manufacturing, automotive, boating, finance, insurance, computer software and travel/leisure.